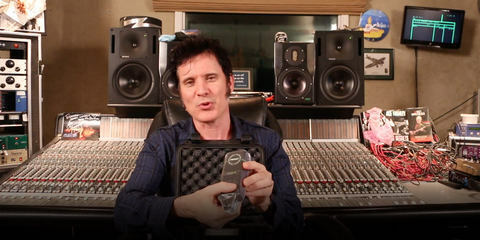 Kevin Becka has worked as a recording engineer for over 25 years, partnering with top names in music like Kenny G., Quincy Jones, Michael Bolton, George Benson, George Lynch, and many others. An experienced educator, Kevin is currently co-director as well as an instructor at The Blackbird Academy in Nashville. He’s also taught advanced recording at Belmont University and surround recording at the Danish Rhythmic Music Conservatory in Copenhagen, Denmark, and he served as director of education and an instructor at the Conservatory of Recording Arts for over 10 years. Kevin is also a journalist who has worked as the editor of Pro Audio Review and Audio Media USA magazines. Since 2003, Kevin has served as technical editor of the industry-leading Mix Magazine where he writes features, product reviews, and a monthly column. Kevin is a voting member of The National Academy of Recording Arts and Sciences (NARAS), the Country Music Association (CMA), and the American Society of Composers, Authors, and Publishers (ASCAP). 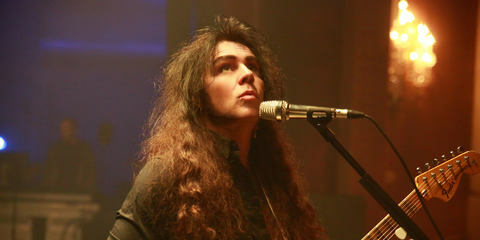 [Kevin Becka] We have a world-class mic collection at Blackbird, probably one of the top five in the world. So the students are used to recording with the best gear from the past – like U-47’s, C12’s, M50’s, exotic ribbons, and more. And when we get a new mic, especially one with some great new tech, we are all over it. The concept of a mic who’s pattern can be altered remotely and after the recording is catching on, but I believe LEWITT was the first to do it. We teach the importance of mic placement and pattern choices all the time, so to have a tool like the LCT 640 TS is a luxury in that we can teach the concepts and hear the results instantly, even after the band goes home. [LEWITT] What have you recorded so far with the LCT 640 TS, and what kinds of recording chains have you used? [Kevin Becka] We’ve used the mic in a variety of applications – acoustic guitar, room mic when recording a drum kit, as a mono drum overhead, and for percussion. And we’ve used the mic in various studios at Blackbird. In Studio A we have a vintage Neve 8078 console with their iconic 31105 preamps, in Studio D we have an API Legacy with their preamps and EQs, and in Studio C we have an SSL K console. All have excellent signal paths and their own personalities. The mic has never sounded poor in any application, which always makes us want to try it on new tracks as we moved through a production. 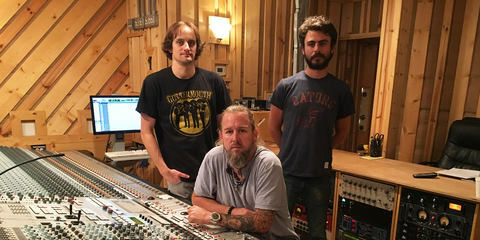 This photo is from a recording session at The Blackbird Academy held in Studio A at Blackbird Studio Nashville, Tennessee. The drum kit is a Gretsch Copper Mist (22, 12, 16.) with Avedis and Kerope cymbals, Craviotto chrome over brass and Joyful noise copper and chrome over brass snares. 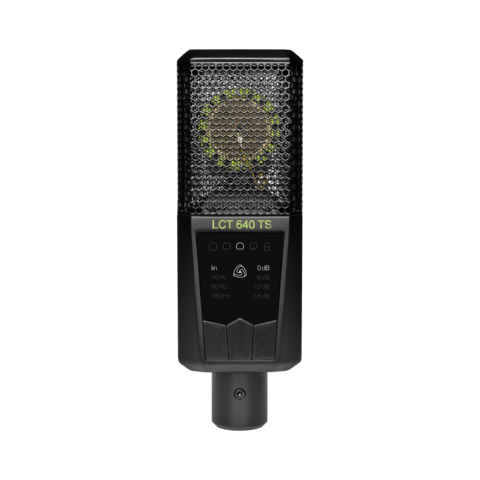 The LEWITT LCT 640 TS is used as a center overhead microphone in Dual Output Mode. The entire kit is on a stereo track MINUS the LCT 640 TS. The LCT 640 TS has its own stereo track so you can play around with the Polarizer plugin's blend and settings. Sounds GREAT!! Instructions: Download and import the two stereo track downloads into your DAW and instance the Polarizer plugin on the track with the file titled OH-LCT640TS-INSERT-POLARIZER. Blend the OH-LCT640TS File with the full drum kit mix (DRUMKIT) then use the Polarizer plugin to change the focus of the track. 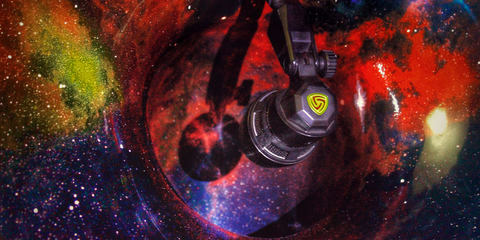 You'll be able to hear how moving from Omni to supercardioid then fig. 8 changes the depth of the mix and focus of the cymbals. [LEWITT] How have your students’ reactions been? What do they think of the LCT 640 TS? [Kevin Becka] They take to the mic immediately and love how they can put a sound with a pattern instantly. 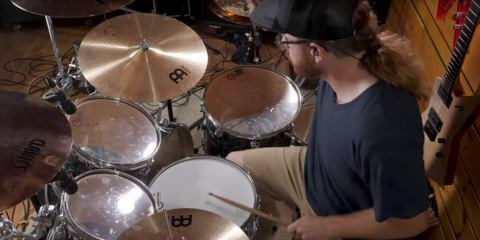 You can see the light bulb go on when you move a drum room mic from cardioid to omni to figure-8 and hear what the pattern does to the sound of the signal and the entire kit. [LEWITT] Do you have any tips for our readers? [Kevin Becka] The best tip, I’d say, is to use the mic in dual-output mode every time you use it! Even if you don’t use the Polarizer plug-in to change patterns, it’s good practice to have it in your hip pocket just in case. [LEWITT] Where do you see potential to improve the recording process in general? [Kevin Becka] The LCT 640 TS gives you a tool that most mics don’t have in that you can change the pattern after the fact. Not only is this a luxury, it’s going to spoil you as an engineer. You can literally change the sound of a production track after the recording, which is powerful. Add this to the fact that the LCT 640 TS sounds great, as good or better than any mic in its price range or even above. [LEWITT] More and more people record at their home studios or on the go. 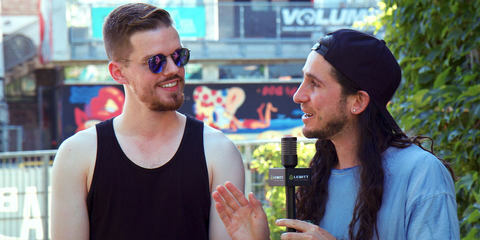 How do you think the recording process will change in the future? [Kevin Becka] Bands here in Nashville record in the many studios we have here in town, but they also have their own recording rigs for use at home and on the road. It’s a mixed bag, because the funding of a project and the need for professional results are always important. Gear in general has gotten more affordable over the years – mics, headphones, speakers, interfaces, DAWs and more. So operating in this manner is not hard, even on a budget. I don’t notice a change from that, at least not here in Music City, and I would imagine it would be the same in Munich, London, Toronto, or any other large city with a music scene. [LEWITT] The list of artists who’ve recorded at Blackbird Studio's is quite impressive! 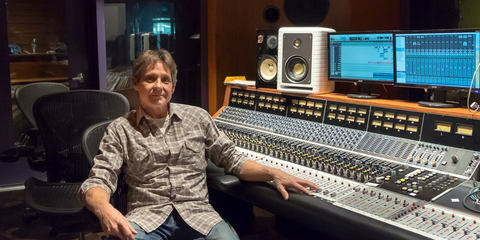 Have you used the LCT 640 TS at the legendary studio's? 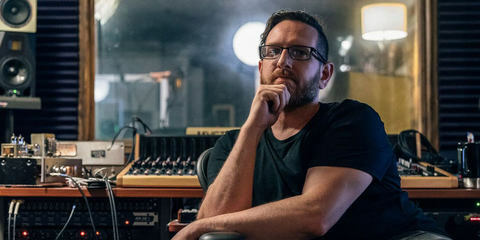 [Kevin Becka] We’ve worked with over 100 bands over the past four years, and The Blackbird Academy uses the same studios as our famous clients. That’s what makes it such a unique recording program. A lot of our bands are up-and-coming, so they’re not names you’d recognize, but we’re making records here, not demos. Many of our projects get released on the major streaming services. One great thing is that two songs we cut last year with recording artist/musician John Stoddart have been submitted for Grammy consideration. It’s too early to know how far they’ll get in the overall process, but we are excited that a track recorded at The Blackbird Academy may be nominated for an award. The Blackbird Academy is an advanced audio recording school specializing in audio production and live sound instruction based at the iconic Blackbird Studio in Nashville, TN. Blackbird Studio is the facility of choice for many recording artists including Jack White, Kid Rock, Keith Urban, Ke$ha, Martina McBride, Tim McGraw and many more.